Director Paul Feig's all-female Ghostbusters reboot starts production in Boston later this week, with the city standing in for New York. We know that Kristen Wiig, Melissa McCarthy, Leslie Jones and Kate McKinnon are set to star as the new Ghostbusters, but very little has been revealed about the story thus far. Today we have an unconfirmed report from the Boston Herald's "script spies," which reveals new details about Kristen Wiig and Melissa McCarthy's characters. In this female Ghostbusters reboot, the actresses play two unknown authors who write a book claiming that ghosts are real, but it is this tome that ends up haunting Kristen Wiig's character several years later. Shortly after landing a teaching job at Columbia University, word of her book gets out, and she is forced out of the education system. After losing her job, she reunites with Melissa McCarthy's character and, "two proton back-packing phantom wranglers" (Leslie Jones and Kate McKinnon) when ghosts invade Manhattan. 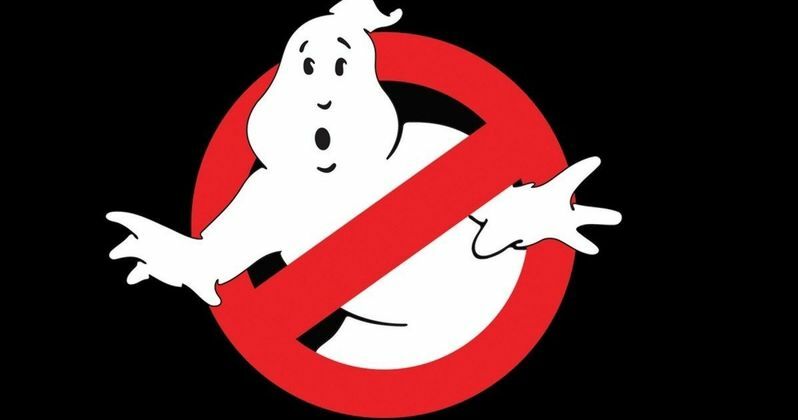 There was talk that the reboot wouldn't have any connection to the original movies, but this report claims that the popular ghost Slimer will make an appearance, and that the filmmakers are still "negotiating" to secure cameo appearances from original Ghostbusters stars Dan Aykroyd and Bill Murray. While it isn't known if he is coming on board, Dan Aykroyd spoke quite highly of the reboot in a new interview, where he praises these new characters. "Yeah, it's going to be hot! The new one's going to be big! The interplay, and with each of them, their individual voices are so well defined. They're just such different characters, and there's a friction. There's a dynamic there. I'm not going to spoil it for people, but it's going to be big, big!" There was also talk that Dan Aykroyd is developing Ghostbusters 4 separately from the reboot. While he wouldn't directly address that project, the actor confirmed that this reboot does have some nods to the first two movies. "The thing is, you've got creators all around Hollywood who saw the thing at the original time and are going, 'Wow, I think I've got a take on that. I think I could do something under that umbrella." And so we've had brilliant creators walk in, from Paul Feig to many others. And we loved the concepts they're coming up with. And this one with the four girls is going to be massive. Oh, man, it's funny. It's intelligent. It hits the right notes, and I'm really excited about it. It refers to the first two in a really neat, classy way, but this is all going to introduce them to a whole new generation of girls that are going to want to be Ghostbusters. We always needed them." The production will also be shutting down an area of Boston's financial district while filming a scene described as, "an epic ghost invasion of Manhattan." Hopefully we'll hear more as production gets started, but what do you think about these Ghostbusters details? Do you think the reboot could become as big of a hit as the original?